What is Chinese cabbage? Chinese cabbage (Brassica pekinensis) is an oriental vegetable that is used a lot in sandwiches and salads instead of lettuce. The leaves are tender like lettuce even though it is a cabbage. Unlike regular cabbage, the thick veins in the leaves are actually sweet and tender. Growing Chinese cabbage is a great addition to any vegetable garden. When considering planting Chinese cabbage, you have to remember that you can grow an early winter or mid-winter crop or a spring crop. Just don’t plant your cabbage too late or it will send up flower stalks before making heads, which robs the plant of nutrients. One of the steps to grow Chinese cabbage is to prepare the soil. Planting Chinese cabbage requires heavy soil that holds moisture. You do not want the soil too wet, however, because it can rot the plant. To keep your Chinese cabbage growing well during the season, you should fertilize the soil before planting. Also, make sure plants get enough water, but not too much, throughout the season. Planting Chinese cabbage can be done in late summer to fall (August through October) for an early winter or mid-winter crop, or in winter (January) for a spring crop. It all depends on when you want your cabbage to be harvested. 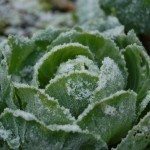 When you plant in winter, you want your growing Chinese cabbage where it is protected from cold, ice and frost as it matures. Growing Chinese cabbage is done best when the plants are 10 inches (25 cm.) apart. This gives smaller heads which are great for home use. Also, you want two- to three-pound heads, so plant them in double rows to keep the size of the heads smaller. If you plant from seed, be sure to put the seeds 1/4 to 1/2 inch (.6 to 1.2 cm.) deep and 3 inches (7.6 cm.) apart. When the growing Chinese cabbage is 4 to 5 inches (10-13 cm.) tall, you can thin the plants to about 10 inches (25 cm.) apart. 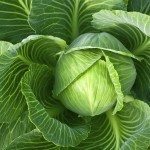 When you harvest the cabbage, be sure to pick Chinese cabbage growing from the first planting you started, if you have staggered plantings for continuous crops. Take the heads and clean them of browning or bug damaged leaves on the outside and wrap them in plastic firmly so they keep in the refrigerator for several weeks. Chinese cabbage is a great vegetable to include in all your salads.